Sony has revealed that the private beta for its game streaming service PlayStation Now will be expanding to PS4 on May 20th. 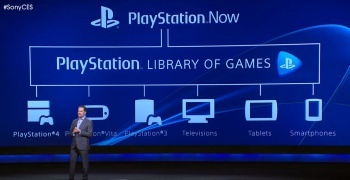 Back in January, Sony sent out invitations granting a select group of PlayStation 3 owners access to the private beta for its game streaming service PlayStation Now. In the months since, its participants have amassed more than 50,000 hours of collective play time as they worked to help the company collect data. Now, it would appear that Sony is ready to move onto the next phase of its testing. In an announcement today, it revealed plans to expand its testing population to include PS4 owners. Hopeful PlayStation fans, in turn, will want to be watching their mailbox for a message from Sony inviting them to join the ongoing beta. The invitations themselves should start arriving at some point after May 20th when the tests are formally expanded. In addition to admitting PS4 players into the fold, Sony has also confirmed that it will be opening the doors to an increased number of PS3 owners whom it intends to invite "on a regular basis." What all of this adds up to, of course, is another important step toward PlayStation Now's promised summer launch. The addition of PS4 players especially could be seen as an important sign of forward progress for the service. While its success on the PS3 is important, it arguably pales in comparison to its performance on the PS4 which, of course, lacks any sort of backwards compatibility. Just personally, I'm most excited for PlayStation Now to come to Vita. Sadly, Sony's blog post included little in the way of updates as to when the service will start testing on the handheld or, for that matter, on Bravia TVs and other promised devices.